We founded this obit posted on the Facebook page of Barry Ort, the rep for the Kenneth Jay Lane jewelry line on QVC. Show hosts Lisa Robertson and Mary Beth Roe both attended services for him in New York today. Barry Ort, age 56, died suddenly in Toronto, Canada on December 24, 2013. Barry started with jewelry manufacturer TCJC of New York in 1988 and rose to Executive Vice President of the firm. He was responsible for bringing the first renowned jewelry designer, Kenneth Jay Lane, to QVC in 1991, long before TV selling was considered chic. Through its enormous success, this led the way for many other designers to join the hit parade. He always led, he never followed. Barry’s magic was Barry himself. He was totally comfortable in his skin, he loved his job and TV sales. He was most fun when teaching the QVC Program Hosts about new Kenneth Lane items. He would layer the necklaces, don the earrings, and chatter about trends and fashion. A number of years ago he took over the on air duties as spokesperson for the KJL line. His stories were funny and charming, he was entertaining and knowledgeable. The viewers absolutely loved him. When Barry talked, everyone listened. Barry had heart. He was most aligned with the New York Lesbian, Gay, Bisexual and Transgender Community Center to which he dedicated many charity efforts, particularly cycling events for a cause. Only Barry could quit smoking, get to the gym daily, and commit to a 300 mile bike ride from Boston to NY simply because he promised to do it and he believed in the important cause. He was a man of his word. In community, when asked, Barry was always there. He made sure that the Breast Cancer Research fundraisers held by QVC and “Shoes on Sale” had a lovely KJL jewelry item in honor of the fight. Anyone who asked received. He had generosity in his blood. And he loved his friends and family. There are too many memories of Barry to recount, but his Bar Mitzvah as a grown man, his 50th birthday party, and his dancing with Donna Summer on stage at “Shoes on Sale” drew the crowd to its feet. His marriage and adoration to forever partner David was storybook perfect. When we think of Barry, we will remember his enthusiasm and passion for business and life, plus his simple desire to do good and make a difference. Honorable, classy, a rare and true gem. We should all be so lucky to have a Barry in our lives. Rest in peace gentle soul. Here’s some really sad news: Barry Ort, who repped the Kenneth Jay Lane fashion jewelry line on QVC, has died. We learned the news on Facebook Thursday, through a post by QVC host Jacque Gonzales. We checked Ort’s Facebook, and there was no mention or explanation of his death. But QVC U.S. CEO Claire Watts posted an item on his death n QVC.com, and QVC host Lisa Robertson mentioned him on Facebook, as well. We are saddened to inform you of the passing of QVC vendor Barry Ort. Our thoughts and prayers are with his family and loved ones during this difficult time. Barry will be remembered for his wit, creativity and philanthropy. Barry brought the iconic Kenneth Jay Lane brand to the QVC customer in 1991, and eventually became the on-air spokesperson for the brand around the world. He was known for his commitment to creating products for QVC that generated awareness and raised funds dedicated to finding a cure for breast cancer. Barry was beloved by many at QVC, and his warm personality and great sense of humor will be missed. Robertson put this on Facebook. It sounds like she and Ort were tight. I found out today that my dear friend, Barry Ort, has passed away unexpectedly. It is a huge shock to the many of us that love him. I was trying to think of how long I have known him, and realized it has been so many years and he was so easy to be with, that it feels like I have known him forever. We went to lunch recently and I enjoyed letting him do the talking and me doing more of the listening for a change. We talked about work a lot, as we both love it, but also about life, love, friends, family, broadway and everything else. He was always an adventure, always fun, always with another idea. I went places with him that I never would have gone without him. From unusual broadway shows to Inaugural Balls, and enjoyed every minute of it. What you saw with Barry is what you got. He was “true blue”, did not have time for “airs” and wasn’t too concerned with what other people thought of him. I can not believe he is gone. I loved and valued him very much. My greatest hope is that I was half as good a friend to him, as he was to me. We’re not big fans of costume jewelry, but the Kenneth Jay Lane line was classy, and we remember Ort as being a witty and informative guest on QVC. So sorry to hear of his passing. Belated Merry Christmas, folks! HSN is doing 24 hours of jewelry clearance today, which is tempting even for those of us who rang up our charge cards shopping for the holidays. We were so busy it has taken us a few days to blog about a Wall Street Journal story earlier this week, one where QVC stuck its two cents in. The Journal article, “Rampant Returns Plague E-Retailers,” described how online retailers are using their data on orders to try to cut down on returns. As many of us know from personal experience, one way that QVC and other home shopping networks try to reduce returns is by threatening to cut off shoppers who return too much merchandise, despite the channels’ 30-day-unconditional return policies. QVC didn’t talk about that little fact in the story. Instead, the No. 1 home shopping channel told The Journal that in some cases it is emailing customers after they get their products to explain how to put them together and use them. QVC’s return rate has been on the rise. The article said that QVC’s returns bumped up to 19.4 percent of gross product revenue last year from 18.9 percent in 2010. The story goes on to report that when the home shopping network noticed a high return rate for the $295 Nu-FACE Trinity face-toning device, it sent customers an email with a video on how to use the item. Returns on QVC’s version of ShopHQ vendor Suzanne Somers’ FaceMaster plummeted 30 percent, eliminating returns of an estimated $55,000 worth of product, according to The Journal. We still find that a more interesting story would have been on the “you-return-too-much-you-can’t-shop-anymore-with-us” strategy of home shopping nets. Another one of my favorite home shopping hosts is leaving the airwaves: HSN veteran Diana Perkovic. We missed the news, but one of our astute readers tipped us off. It was apparently yesterday that it was disclosed on-air that Perkovic was leaving, and several other HSN hosts bid her farewell. Oddly enough, that message wasn’t posted by Perkovic but rather by a dude named Justin Floyd. And this character kept re-posting that message when Perkovic’s fans expressed dismay that she was exiting. Her bio is still on HSN.com. We found Perkovic to be knowledgeable and enjoyed her beauty and fashion presentations. Good luck wherever you land, girlfriend. 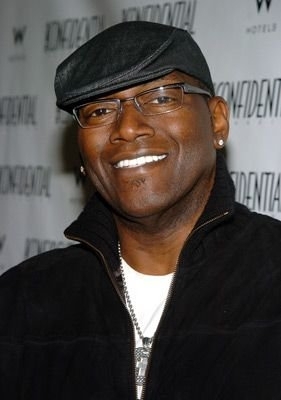 Grammy-winning producer Randy Jackson is back on HSN Sunday with what is his third line of guitars. We guess he’s dueling with his “American Idol” compadre Keith Urban, who recently hawked guitars on the home shopping network. Jackson’s True Faith Guitar Collection will be the Today’s Special. It comes in the wake of the debut of his “Diamond Edition” last December and “American Tribute” Collection, which launched earlier this year. Sunday’s 20-piece package is under $300 with free shipping. This new collection features both an all-wood solid body electric and an acoustic-electric guitar, each offered in five colors — Black Onyx, Silver Hematite, Ruby Red, Purple Amethyst and Chocolate Diamond. The instruments also have a Maltese cross insignia on their backs, a faux crackled mother-of-pearl pick guard and rosewood fingerboard with mother-of-pearl inlay. Each guitar also has the phrase “Courage, Loyalty, Believe” on its back. Jackson began playing guitar when he was 13. We were wondering what happened to her, and now we know: Kathy Van Zeeland and her purses have landed on ShopHQ. Leave it to idiots like us to be up at 1 a.m. checking out ShopHQ’s website, and to see that Van Zeeland is set to appear on the network tonight at 7 p.m.
She and her husband and fellow QVC handbag vendor, Bruce Makowsky. had been pretty prominent vendors on the No. 1 home shopping channel. But then all of a sudden she disappeared, and Makowsky’s purses and shoes faded into the background on the network. Not to spread rumors, but we wondered if the two were married anymore, too. We don’t have the answer, but only know that Van Zeeland’s somewhat gaudy and blingy purses have come to Minnesota. HSN Cares, the home shopping network’s philanthropic arm, and credit card provider Alliance Data,have donated $500,000 to a variety of local charities that support women and children, they announced Wednesday. At a press conference hosted at the HSN’s HQ in St. Petersburg, HSN CEO Mindy Grossman and Deb Decker, Senior Vice President and Chief Client Officer for Alliance Data, unveiled the charities’ plans for the donation. The deal is that $400,000 of the funds will benefit the Tampa Bay community and the remaining $100,000 will benefit the communities surrounding HSN’s fulfillment centers in Piney Flats, Tenn.; Fontana, Calif.; and Roanoke, Va.
Alliance Data has provided credit card services for HSN since 2008. Grossman also waxed on in HSN’s press release. “At HSNi, we strive to cultivate a culture of generosity,” she said in a canned statement. The Tampa Bay organizations Thurgood Marshall Fundamental Middle School, Community Action Stops Abuse (CASA), Habitat for Humanity of Pinellas County, and Big Brothers Big Sisters of Pinellas County, each received $100,000 to support their programs. Thurgood Marshall Fundamental Middle School will use the donation to fund a state-of-the-art technology lab for their students. HSN has been a corporate partner with Thurgood Marshall for eight years and sends volunteers on a monthly basis to help with various needs around the school. More than 30 HSN employees currently serve as mentors to students. CASA,Community Action Stops Abuse, will use the money to sponsor a room in CASA’s new emergency domestic violence shelter. CASA has been a leading advocate for ending domestic violence. Their support of victims of abuse and efforts to educate and prevent domestic violence has been widely recognized. HSN is honored to be the first company to make a significant contribution to CASA’s Sunshine and Hope Capital Campaign. HSN Cares has built three homes as part of its ongoing partnership with Habitat for Humanity of Pinellas County. The donation will sponsor the Habitat for Humanity Blitz Build for the next decade. In addition to today’s contribution, HSN Cares has donated $200,000 over the past three years and more than 1500 employee community service hours to build three homes through Habitat. Big Brothers Big Sisters will use the donation to fund a scholarship endowment for future Little Brothers and Sisters. Through the organization’s school-based mentoring program, more than 30 HSN employees are matched with middle school “Littles” to serve as mentors through high school. HSN also provides in-kind human resources support to Big Brothers Big Sisters. An additional $100,000 is being distributed evenly between local charities in Piney Flats, Roanoke and Fontana – homes to three of HSN’s fulfillment centers. The Ronald McDonald House of Southern Appalachia in Piney Flats will use the funds for a family room at the Nisownger Children’s Hospital. Funds donated to The Loma Linda Ronald McDonald House in Fontana will go towards the expansion of the house and Big Brothers Big Sisters of Southwest Virginia will purchase an “HSN Cares Mentor Mobile” that will assist with the transportation of “Bigs” and “Littles”. Tune in to Lifetime’s “Project Runway All Stars” tonight, Thursday, if you want to see the crew design a gown for QVC host Lisa Robertson. Robertson will also serve as a guest judge along with “Mad Men” actress Elisabeth Moss (no relation), former “Project Runway All Stars” winner Mondo Guerra and returning judge Isaac Mizrahi, QVC designer guru. After being named the winner of the challenge, the week’s top designer will appear on QVC with Robertson “to offer a ready-to-wear version of his or her winning design,” the release said. On Monday night during Robertson’s PM Style” show, the winner “will experience the thrill of introducing their creation to a captive audience of consumers on live television.” Whoop-de-do! During the Lifetime show this season, the designers have used the QVC Accessory Wall to help complete their looks for the runway. In addition to the QVC red-carpet challenge this week, the grand prize winner of “Project Runway All Stars” will design a capsule collection for QVC, scheduled to be available following the season finale in January. The “As Sewn on TV” episode airs tonight at 9 p.m. on Lifetime. Good news yesterday: HSN host Callie Northagen’s son was released from the hospital. “Guess who just got the ‘all clear’ to be discharged!? We get to start the drive back home to Florida later this afternoon!” Northagen posted on Facebook. Her 18-yearold son Tristan suffered a collapsed lung, and had to undergo surgery. We’re glad to hear it was successful. QVC design maestro Isaac Mizrahi needs to spend more time working on his apparel line for the home shopping network, in our humble opinion. It’s uninspiring. The New York Times recently wrote about designer Mizrahi’s involvement with the holiday production at the Guggenheim Museum in Manhattan. This year, for the first time Mizrahi is transforming the concert into “a full theatrical production,” according to The Times, directing the actors and designing the costumes and the set. You are currently browsing the Homeshoppingista's Blog By Linda Moss blog archives for December, 2013.